Charles Darwin and also more recent researchers claimed that all humans communicate a basic set of internal emotional states using the same facial movements. According to a new study there is reason to question this universality. Traditional market research used to focus on survey-based investigations. The first generation of Neuromarketing focused on Brain Imaging via functional Magnet Resonance Imaging (fMRI), which allowed for a true insight into brain activities with accurate localisation results. Finally, the new generation of Neuromarketing provides valuable information about implicit affective responses, which in combination with explicit responses are most useful for product evaluation and many further economic decisions. This study investigated various aspects of Samsung and Apple smartphones with respect to their conscious and unconscious affective impact in response to visual presentations. Besides various interesting discrepancies between conscious and unconscious affective responses, which demonstrate that mainly conscious cognitive differences exist between Apple and Samsung, an overall outcome is that male Samsung owners demonstrated most positive nonconscious affective processing levels regardless of which brand and version being exposed to. In the current study, electroencephalography (EEG) was recorded simultaneously with facial electromyography (fEMG) to determine whether emotional faces and emotional scenes are processed differently at the neural level. In addition, it was investigated whether these differences can be observed at the behavioural level via spontaneous facial muscle activity. Emotional content of the stimuli did not affect early P1 activity. Emotional faces elicited enhanced amplitudes of the facesensitive N170 component, while its counterpart, the scene-related N100, was not sensitive to emotional content of scenes. At 220-280 ms, the early posterior negativity (EPN) was enhanced only slightly for fearful as compared to neutral or happy faces. However its amplitudes were significantly enhanced during processing of scenes with positive content, particularly over the right hemisphere. Scenes of positive content also elicited enhanced spontaneous zygomatic activity from 500-750 ms onwards, while happy faces elicited no such changes. Contrastingly, both fearful faces and negative scenes elicited enhanced spontaneous corrugator activity at 500-750 ms after stimulus onset. However, relative to baseline EMG changes occurred earlier for faces (250 ms) than for scenes (500 ms) whereas for scenes activity changes were more pronounced over the whole viewing period. Taking into account all effects, the data suggests that emotional facial expressions evoke faster attentional orienting, but weaker affective neural activity and emotional behavioural responses compared to emotional scenes. In my role as editor in chief I want to take the chance to say a few words on behalf of the entire SCIRP team. The current times and trends within the world of academia are exciting. During the last few years various publishers followed the Open Access model, which I myself have found a great step forward since day one of its existence. Science is largely paid through money from the public and thus the public should have free access to its outcome. That is the fairest approach to it. Also, for a scientist it is much easier to distribute own work by simply sending a link that allows the recipient to freely download the respective article. In other words, Open Access is the future, which fortunately became the present already. Psychology as the study of the human mind and the behavior it generates has always been of great interest. Today, however, it receives an entirely new aspect as scholars from other fields—and even industry and economy-affiliated people—have realized that whatever issue one talks about, humans are obviously engaged, and it is their brains that control what they say and determine what they do. This book chapter reviews emotion literature and highlights existing terminology problems. Finally, a new emotion model is proposed. Walla, P., Duregger, C., Deecke, L., Dal-Bianco, P. (2011). Dysfunctional Incidental Olfaction in Mild Cognitive Impairment (MCI): An Electroencephalography (EEG) Study. Brain Sciences, 1(1), 3-15. Peter Walla (2011). Non-Conscious Brain Processes Revealed by Magnetoencephalography (MEG), Magnetoencephalography, Dr. Elizabeth Pang (Ed. ), ISBN: 978-953-307-255-5, InTech. Geiser M., Walla P. Objective Measures of Emotion During Virtual Walks through Urban Environments. Applied Sciences. 2011; 1(1):1-11. Heereman, J., Walla, P. (2011). Stress, uncertainty and decision confidence. Applied Psychophysiology and Biofeedback, 36(4):273-9. Mathes, B., Pomper, U., Walla, P., and Basar-Eroglu, C. (2010). Dissociation of reversal-and motor-related delta and alpha band responses during visual multistable perception. Neuroscience Letters, 478(1):14-8. Walla, P., Richter, M., Färber, S., Leodolter, U., and Bauer, H. (2010). Food evoked changes in humans: Startle response modulation and event-related potentials (ERPs). Journal of Psychophysiology, 24(1): 25-32. Walla P., Deecke L. Odours Influence Visually Induced Emotion: Behavior and Neuroimaging. Sensors. 2010; 10(9):8185-8197. Walla, P., Imhof, H., and Lang, W. (2009). A gender difference related to the effect of a background odor: A Magnetoencephalographic (MEG) study, Journal of Neural Transmission, 116(10): 1227-1236. Khittl, B., Bauer, H., and Walla, P. (2009). Change detection related to peripheral facial expression: an electroencephalography (EEG) study. Journal of Neural Transmission, 116(1): 67-70. Walla, P., Duregger, C., Greiner, K., Thurner, S., and Ehrenberger, K. (2008). Multiple aspects of self awareness and the awareness of others: an EEG study. Journal of Neural Transmission, 115(7): 983-992. Walla, P. (2008). Olfaction and its dynamic influence on word and face processing: Cross-modal integration. Progress in Neurobiology, 84: 192-209. Rigaud, D., Romer, M., Walla, P., Van Wymelbeke, V., Jiang T., Deecke, L., and Brondel, L. (2007). Sensory-specific satiety with simple foods in humans: no influence of BMI? Int J Obesity, 31(6): 987-995. Duregger, C., Bauer, H., Cunnington, R., Lindinger, G., Deecke, L., Lang, W., Dirnberger, G., and Walla, P. (2007). EEG evidence of gender differences in a motor related CNV study. Journal of Neural Transmission, 114(3): 359-366. Walla, P., Greiner, K., Duregger, C., Deecke, L., and Thurner, S. (2007). Self awareness and the subconscious effect of personal pronouns on word encoding: a magnetoencephalographic (MEG) study. Neuropsychologia, 45: 796-809. Staresina, B., Bauer, H., Deecke, L. and Walla, P. (2005). Magnetoencephalographic correlates of different levels in subjective recognition memory. Neuroimage, 27(1):83-94. Staresina, B.P., Bauer, H., Deecke, L., and Walla, P. (2005). Neurocognitive correlates of incidental verbal memory encoding: a magnetoencephalocraphic (MEG) study. Neuroimage, 25(2): 430-443. Walla, P., Mayer, D., Deecke, L., and Lang, W. (2005). How chemical information processing interferes with face processing: a magnetoencephalographic (MEG) study. Neuroimage, 24(1): 111-117. Walla, P., Püregger, E., Lehrner, J., Mayer, D., Deecke, L., and Dal Bianco, P. (2004). Depth of word processing in Alzheimer patients and normal controls: a magnetoencephalographic (MEG) study. Neural Transmission, 112(5): 713-730. Walla, P., Mayer, D., Deecke, L., and Thurner, S. (2004). The lack of focused anticipation of verbal information in stutterers. Neuroimage, 22(3): 1321-1327. Püregger, E, Walla, P., Deecke, L., and Dal-Bianco, P. (2003). Magnetoencephalographic (MEG) – features related to Mild Cognitive Impairment (MCI). Neuroimage, 20: 2235-2244. Walla, P., Lehrner, J., Nasel, C., Baumgartner, C., Deecke, L., and Lang, W. (2003). Preserved memory traces within diencephalic amnesia. Journal of Neural Transmission, 110(5): 537-543. Walla, P., Hufnagl, B., Lehrner, J., Mayer, D., Lindinger, G., Imhof, H., Deecke, L., and Lang, W. (2003). Olfaction and depth of word processing: a magnetoencephalographic (MEG) study (Neuroimage, 18(1): 104-116. Walla, P., Hufnagl, B., Lehrner, J., Mayer, D., Lindinger, G., Imhof, H., Deecke, L., and Lang, W. (2003). Olfaction and face encoding in humans: a magnetoencephalographic (MEG) study. Cognitive Brain Research, 15(2): 105-115. Walla, P., Hufnagl, B., Lehrner, J., Mayer, D., Lindinger, G., Deecke, L., and Lang, W. (2002). Evidence of conscious and subconscious olfactory information processing during word encoding: a magnetoencephalographic (MEG) study. 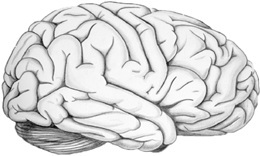 Cognitive Brain Research, 14: 309-316. Walla, P., Hufnagl, B., Lindinger, G., Deecke, L., and Lang, W. (2001). Physiological evidence of gender differences in word recognition: A magnetoencephalographic (MEG) study. Cognitive Brain Research, 12(1): 49-54. Cunnington, R., Lalouschek, W., Dirnberger, G., Walla, P., Lindinger, G., Asenbaum, S., Brucke, T., and Lang, W. (2001). A medial to lateral shift in pre-movement cortical activity in hemi-Parkinson's disease. Clinical Neurophysiology 112(4): 608-618. Walla, P., Hufnagl, B., Lindinger, G., Deecke, L., Imhof, H., and Lang, W. (2001). False recognition depends on depth of prior word processing: A magnetoencephalographic (MEG) study. Cognitive Brain Research, 11: 249-257. Walla, P., Hufnagl, B., Lindinger, G., Imhof, H., Deecke, L., and Lang, W. (2001). Left temporal and temporo-parietal brain activity depends on depth of word encoding: A magnetoencephalographic (MEG) study in healthy young subjects. Neuroimage, 13: 402-409. Lehrner, J.P., Eckersberger, C., Walla, P., Pötsch, G., and Deecke, L. (2000). Ambient odour of orange reduces anxiety and improves mood in female patients waiting for dental treatment. Physiology and Behavior, 71: 83-86. Walla, P., Endl, W., Lindinger, G., Deecke, L., and Lang, W. (2000). False recognition in a verbal memory task: an event-related potential study. Cognitive Brain Research, 9(1): 41-44. Lehrner, J.P., Walla, P., Laska, M., Deecke, L. (1999). Different forms of human odour memory. Neuroscience Letters, 272(1): 17-20. Walla, P., Endl, W., Lindinger, G., Deecke, L., Lang, W. (1999). Implicit memory within a word recognition task: an event-related potential study in human subjects. Neuroscience Letters 269(3), 129-132. A lie-detector for face perception? Endl, W., Walla, P., Lindinger, G., Deecke, L., and Lang, W. (1999). Event-related potential correlates of false recognitions of faces. Neuroscience Letters 265(2), 115-118. Walla P., Endl W., Lindinger G., Lalouschek W., Deecke L., and Lang W. (1999). Early occipito-parietal activity in a word recognition task: an EEG and MEG study. Clinical Neurophysiology 110: 1378-1387. Rugg, M.D., Walla, P., Schloerscheidt, A.M., Fletcher, P.C., Frith, C.D., Dolan, R.J. (1998). Neural correlates of depth of processing effects on recollection: evidence from brain potentials and PET. Experimental Brain Research, 123:1/2, 18-23. Rugg, M.D., Mark, R.E., Walla, P., Schloerscheidt, A.M., Birch, C.S., and Allan, K. (1998). Dissociation of the neural correlates of implicit and explicit memory. Nature, 392, 9 April, 595-598.